I joined the 2007 DREAM RIDE mainly because my son is a co-organizer and I wanted to help out. But I gained much from the experience. I was very impressed with the level of commitment exhibited in my fellow riders: all of the riders fully believed in the ride’s humanitarian goals. I was also very pleased with our hosts along the way. These complete strangers enthusiastically welcomed us with dinner, a place to sleep and breakfast. Depending upon their circumstance, our hosts provided amenities beyond the basics including internet access, showers, a bed to sleep in and loving support. The ride it self while not easy, was very enjoyable. Although the total daily mileage was quite long, the frequent rest stops broke the ride into manageable segments. 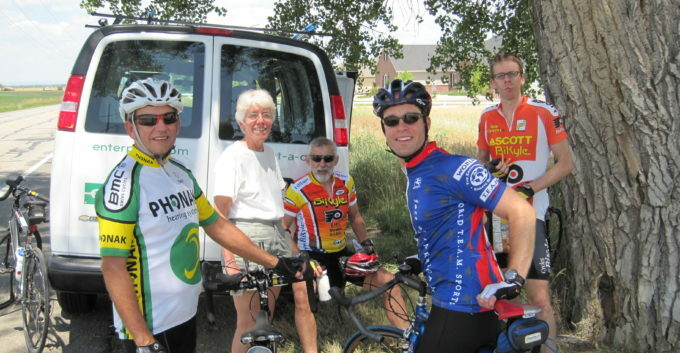 At each stop, the group reformed to share stories and snacks or lunch. We always felt like a group, and we slower riders never felt left out. I think that with some training, almost anyone can complete the ride. At the end, I felt a real sense of accomplishment both for having completed the ride and for my financial contribution to the ride’s humanitarian aid goals. In summary, DREAM Ride 2007 was a great experience, and I hope my schedule allows me to participate in the 2009 DREAM RIDE!